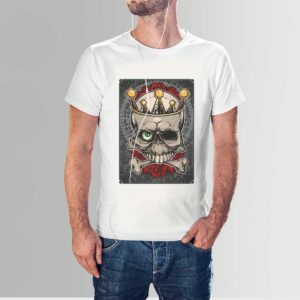 This skull t-shirt by Designyourown can be a unique and creative addition to your wardrobe. 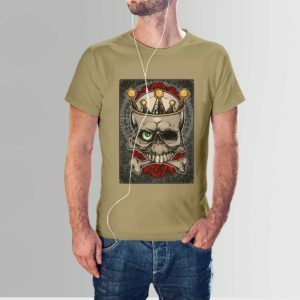 Cover your body with this amazing skull T-shirt. 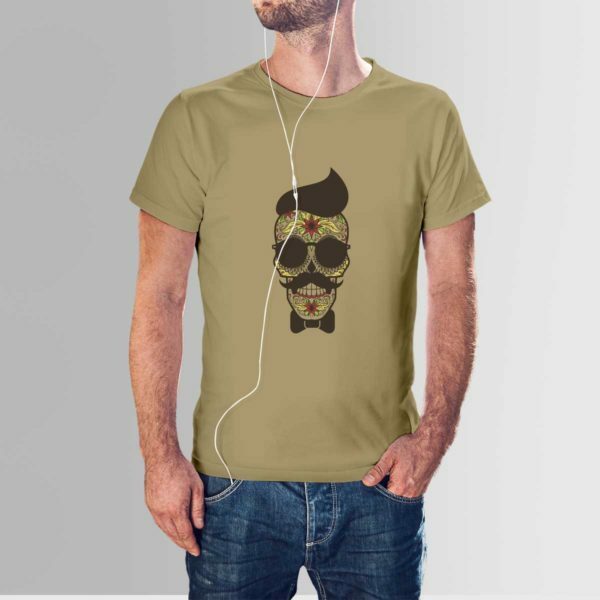 Sugar skull T-shirt will do the talking for you. Find fresh Sugar Skull designs on designyourown. The shirt comes in 3 colors- khaki, maroon and white. These shirts are spot on if you are trying to stand out in a crowd. It comes in all different sizes to fit your needs perfectly. The material of this shirt is perfect for the hot torching summer. Ever heard of the day of the dead? Do you just want to stand out? Or make a statement at a party? Or just want to look cool without making any effort? 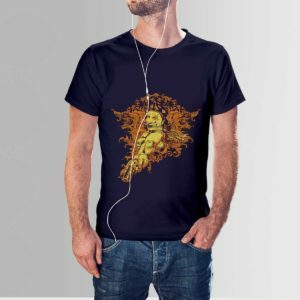 Look no further, Designyourown has the perfect T-shirt for you. 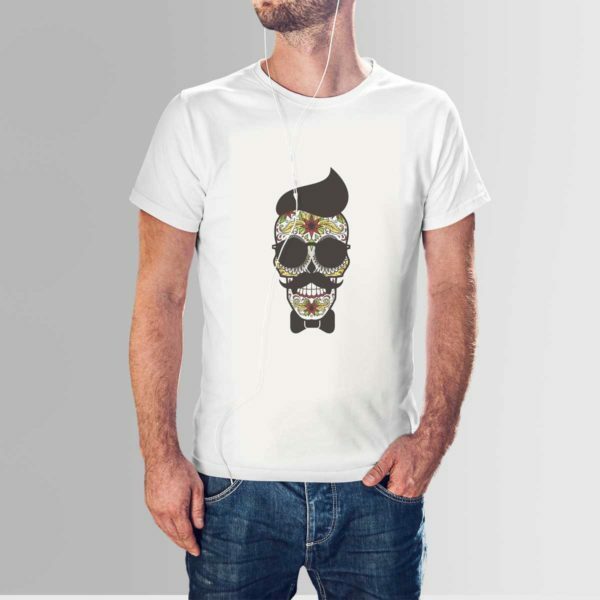 This sugar skull T-shirt is the perfect shirt to make a statement with. You can look effortlessly cool in this shirt. The shirt comes in white, maroon and khaki. 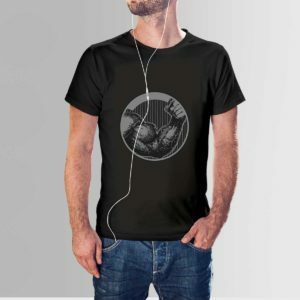 It also has different sizes to fit your body perfectly. 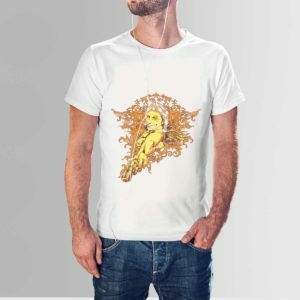 The material of this shirt is ideal for the summer; it has a crew neck which won’t make you feel hot in summers. 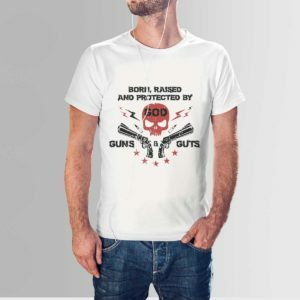 You can wear this shirt at any party or at any event. Whether you are a teen or an adult, you can rock this shirt. The sugar skull shirt has a very unique design that anyone can wear anywhere. Not only this, Designyourown is offering the coolest and the most creative designs at a reasonable price. Designyourown make their products affordable for everyone, so anyone and everyone can make a fashion statement anywhere. 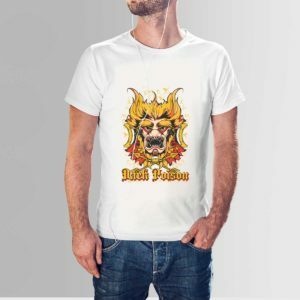 Grab these shirts and make your wardrobe cooler, make your friends jealous, make a statement . 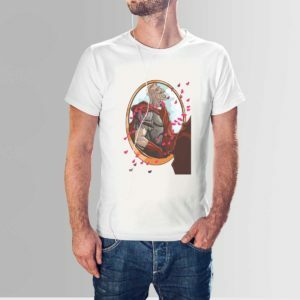 Buy these shirts from designyourown and be the stylish one.